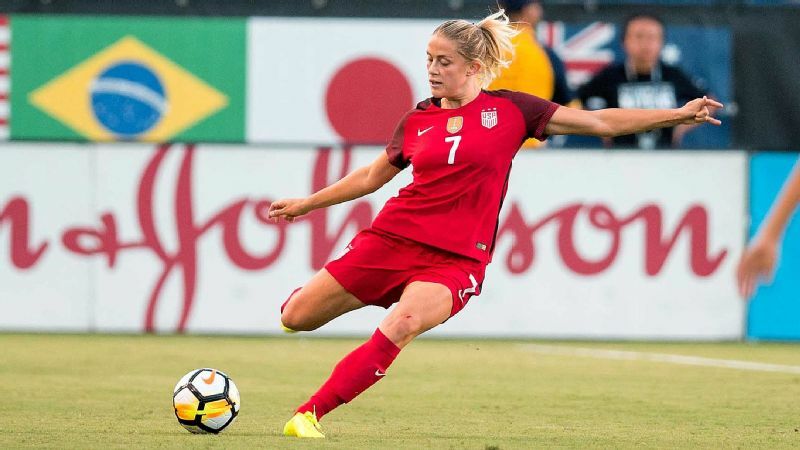 Before becoming a staple on the back line for the U.S. women this year, Abby Dahlkemper had to recover from a septic infection in her foot that spread up her leg and toward her knee last winter. 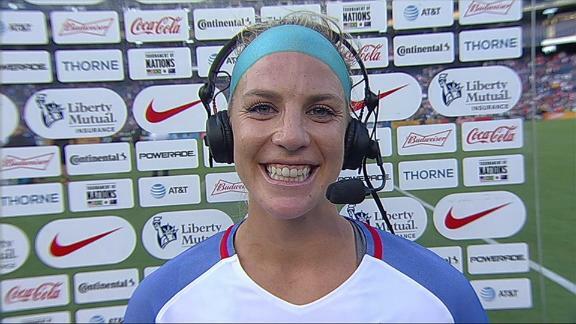 Abby Dahlkemper played every minute of every game for the Western New York Flash a season ago. Every minute in the regular season. Every minute in the postseason. She even played after the clock officially stopped, converting in a shootout that earned the team a NWSL championship. Even before she walked out of the stadium in Houston that night, she had played her way into an invitation from the U.S. women's national team. In the months that followed, she played her way into the de facto starting role next to Becky Sauerbrunn on the back line. Dahlkemper currently anchors the NWSL's stingiest defense. She has, of course, played every minute for the first-place North Carolina Courage, the relocated and rebranded defending champion. She played and played until she proved that even the best teams cannot do without her. Yet it was when she couldn't play, when a serious infection sidelined her and threatened to do worse this past winter, that she fully understood how much all the minutes mattered to her. "I think it was that time away that made me really want to get back on the field," Dahlkemper said. "It made me realize how much I love and cherish the game and playing. Everything happens for a reason. That was a hard time, but it was an important time because I was able to build some resilience and realize how badly I wanted to achieve some goals of mine." It made me realize how much I love and cherish the game ... and realize how badly I wanted to achieve some goals of mine. U.S. coach Jill Ellis called Dahlkemper in for two games a little more than a week after the 2016 NWSL final. She was the latest in a line of aspirants at center back. But the audition was also a long time coming with Ellis' continued emphasis on building attack from the back and defenders comfortable with the ball at their feet. "I think she's got tremendous poise," said Ellis, who helped recruit Dahlkemper at UCLA but never coached her there. "I think her distribution and her quality of delivery, I think she's a natural playmaker from the back, essentially. And now couple that with her defending. That's still a work in progress for her, but she has a ruggedness about her and a physical dimension to her. "You've got to be brave to be in the back, and she's brave. Now it's [about] her consistently being exposed to the nuances of world-class attacking players." Dahlkemper played well in two substitute appearances against Switzerland in October 2016, her first caps. More importantly, she played well in practices against more formidable intrasquad competition. "No one is going to hold your hand through the process," Dahlkemper said. "I don't think you're ever on the team -- you're just as good as your last camp, your last game, your last training. It's a hard environment, but it's what pushes you and makes you better. "It's hard to describe that environment without being in it, but it's challenging, it's rewarding." She did well enough to earn another invite for a two-game series the following month against Romania. But shortly before those November 2016 games, she woke up barely able to walk because of pain in her right foot. The pain only got worse, to the point that it was a struggle to put any weight on the foot. Can Leroux land a second act with U.S. national team? Dahlkemper was diagnosed with a septic infection in her foot. It required not only weeks with a peripherally inserted central catheter, or PICC line, to dispense antibiotics into her bloodstream, but also surgery to clean out the infection. Sepsis in its mildest forms is highly treatable. It is also a condition that can spiral out of control quickly if it spreads, with serious long-term, even life-threatening consequences. Although ultimately successful, Dahlkemper's treatment became, in her words, a race against time as the infection spread up her leg and toward her knee. She spent the previous NWSL offseason playing, of course, venturing to Australia for more minutes in that country's professional league. But in the aftermath of the infection and with her foot in a boot from concurrent surgery to remove bone spurs from her toe -- a pre-existing condition -- she had no choice. She finally stopped playing. She spent the offseason in California taking care of her health. 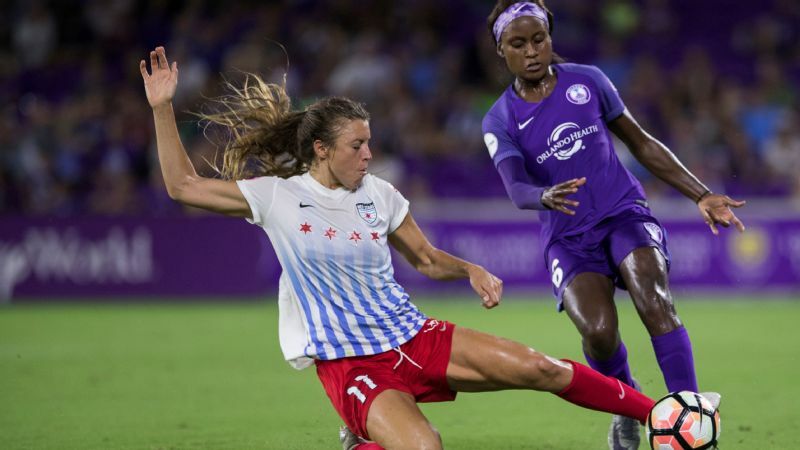 It wasn't until around the start of the NWSL season in April that she felt anything like her old self physically, although it didn't stop her from playing 90 minutes in the opener. The toe is still troublesome, painful some days and restricted in range of motion. But adrenaline dulls the pain, and she was already used to the toe as deadweight. The injury kept her out of the mix for the national team's traditional January training camp and showcase games against England, France and Germany in March. But by the time the NWSL season paused for international games in early June, Dahlkemper was in the starting lineup for the first time for the United States in a 1-0 win against Norway in that country. She then came off the bench in a game in Sweden and started all three games against Australia, Brazil and Japan when the U.S. women hosted the Tournament of Nations at the end of July and beginning of August. She's got tremendous poise ... I think she's a natural playmaker from the back. 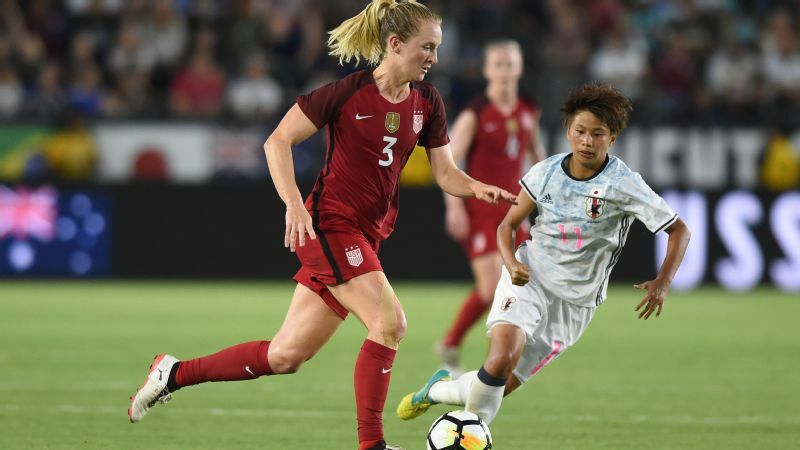 That tournament was something of a roller coaster for the United States in the moment, a first-ever loss against Australia followed by a dramatic comeback against Brazil and a win against Japan. What it offered in the long run was amplified as Sauerbrunn talked about feeling as if she and Dahlkemper had played together for years in the middle of the back line instead of a handful of games. At the very least, Dahlkemper, 24, provides depth alongside Sauerbrunn and Julie Ertz in one of the shallowest positions for the Americans. 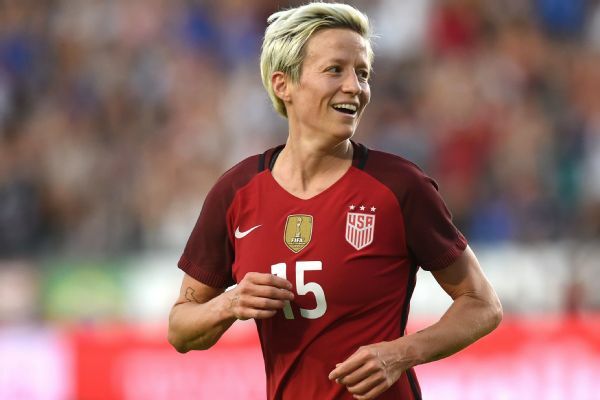 She might well be more than that, the eventual heir to the 32-year-old Sauerbrunn. 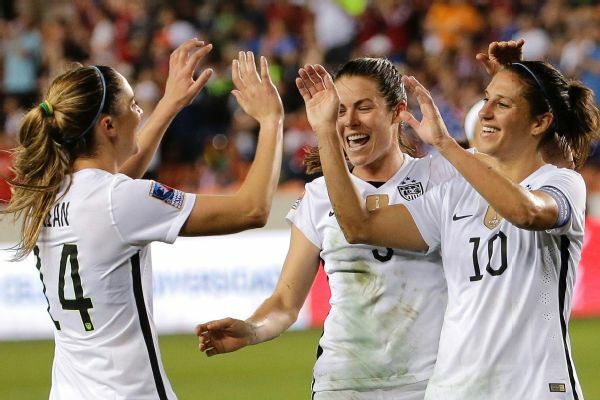 "You can see that she's not hesitating," Sauerbrunn said during the Tournament of Nations. "She steps strong, she drops strong. It's those times when you're not quite sure if you should go or drop that can be very confusing for a back line because we really have to work as a unit and work off each other. The premise of 'one press, three back,' that is a staple of a good back line. When you don't have a clear one stepping, three dropping, it can get pretty hairy." It is in those moments that Dahlkemper looks less like someone playing her first minutes in new surroundings than someone taking the final steps of what has already been an arduous journey. Sam Mewis has known Dahlkemper as long as just about anyone on the national team, the two teammates in the same high-profile class at UCLA and selected back-to-back in the first round by the Flash. Mewis knows the player who experienced highs and lows on the field, a national champion and national player of the year at UCLA but also the captain of perhaps the unluckiest youth national team, a U-17 squad that missed the World Cup entirely when it lost in a penalty shootout against Canada in qualifying, and who waited longer than many peers for a look from the senior national team. And Mewis knows the person whose warmth draws others to her, the common bond in countless friendships. That good nature was undiminished over the years by results, rosters or even infection. 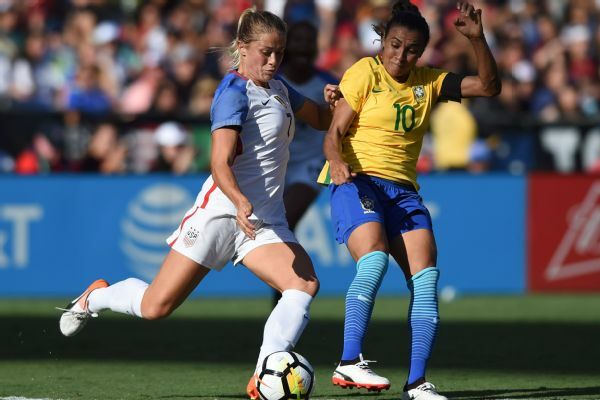 Abby Dahlkemper provides depth alongside Becky Sauerbrunn and Julie Ertz on the U.S. women's back line. "You don't know what goes on deep inside anyone's mind," Mewis said. "But I think she believed in herself the whole time. She never stopped working for it. I'm sure sometimes it was difficult, but I think that she really had that confidence deep down that she could do it. She's one of those people that being here isn't enough. She wants to continue to grow and continue to develop." Dahlkemper has used her time in the NWSL toward that growth and development. As gilded a résumé as she brought with her into the professional soccer world, she then made herself into a player the national team couldn't ignore. A better individual defender, a better decision-maker, a better sense of space. A more vocal presence. Some of that is belief. Much of it is work and talent. But on the brink of achieving a goal with the national team, one more test awaited. And belief was all she had at her disposal while she waited for the antibiotics to work. Waited to see whether they would work. The answer is back on the field for club and country. Every game. Every minute. "It really made me take a step back and realize how much more I wanted to keep pushing in my soccer career," Dahlkemper said.